Key concept - Systems - How do different environmental systems interact with each other on Earth? Related concepts - Models and environment - How can we use scientific models to explain changes in our environment? The photo to the right is called "The Pale Blue Dot". It is a photo taken on the 14th February, 1990 by the Voyager 1 Space probe from 6 billion km away. It shows the Earth in a scattered ray of light from the Sun as the space probe was leaving our solar system. Click on the photo to hear a famous quote by Carl Sagan. To fully understand how our Earth works, it is important to know the chemicals that make up the different systems. In science, we organise all of the chemicals into the periodic table (below). Each type of chemical has a name and a symbol. 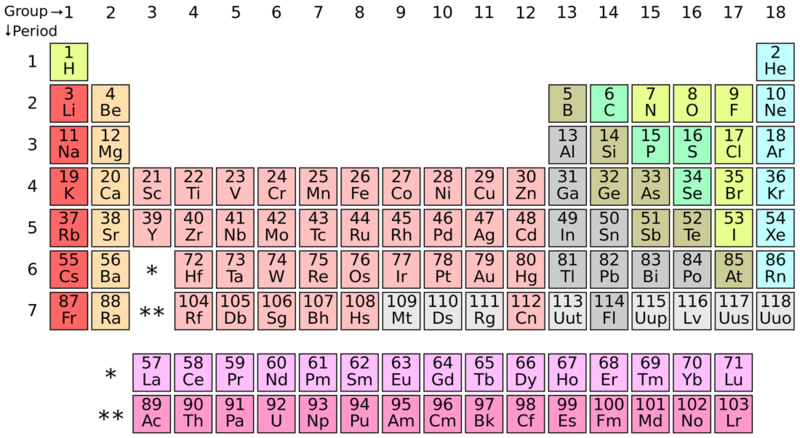 ﻿This table contains all of the chemical elements that we know. You will need to learn some of these names and symbols. The documents below contain the names and symbol that you need to learn. Download them and save them to your Natural Sciences document. Task 2a: You will notice that some of the symbols are very different to the names of the elements. This is because the symbols are derived from the LATIN names not the ENGLISH ones. Use the documents to write the names or symbols of these elements: F, Br, Na, Fe, H, chlorine, neon, potassium, oxygen and silver. Work out the English names from these Latin names and your knowledge of the symbols: cuprum, natrium, ferrum, stannum, kalium, argentum, aurum. Find the answers here. Chemical compounds are made from different types of element. Which elements do you think are in these chemical compounds: carbon dioxide, magnesium chloride, beryllium sulfide, water. 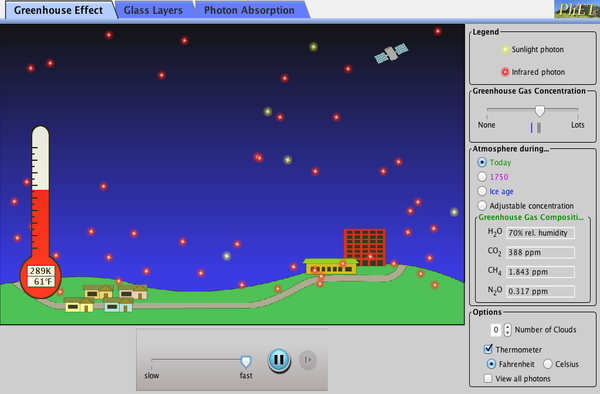 Practice the names and symbols of the periodic table with this game, click here. The inner and outer core are formed mainly from the chemical elements iron (Fe) and nickel (Ni) and can have a temperature of up to 5,500 ºC. The mantle and the crust are solid and contain a large mixture of elements, including: Si, Al, Ca, Na, K and Mg.
State which chemical elements have the symbols above? Find out which are the 2 most abundant (common) elements in the Earth´s crust? Although the mantle and crust are both solid, the mantle has a property that is more like a liquid. Which property is it? Extension: This property is responsible for earthquakes. Explain how? Definition: Minerals are naturally occurring substances with a definite chemical composition and a regular internal structure. Note: Most minerals are crystals, like salt and diamonds. 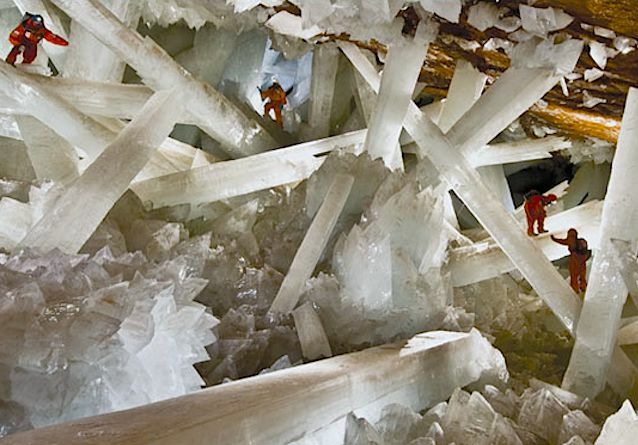 Many minerals are very hard so have been used throughout human history for things such as building. Rare and beautiful minerals such as emeralds and diamonds are called gems. The piece of art to the right is a skull made with over 8,000 gems and was sold in 2007 for €75,000,000! ​Believe it or not, in the early 1800’s no one had created ​a system for identifying minerals. So, Mr. Mohs started ​to study the different​physical properties of minerals​as a way to identify them. He noticed that some minerals ​are very soft, others are extremely hard. He also ​observed that harder minerals could scratch softer ​ones. Transparent - Light can pass through it and you can see through it. Translucent - Light can pass through it but you cannot see objects through it. Opaque - No light can pass through it. Make a table in your NSD with 8 rows and 3 columns. Label each column - Mineral letter, Colour and Transparency. Complete the table using the photo to the left. 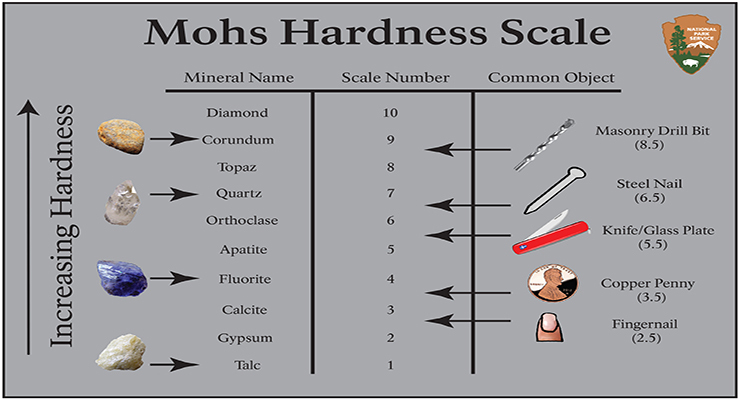 How do we compare the hardness of different minerals? 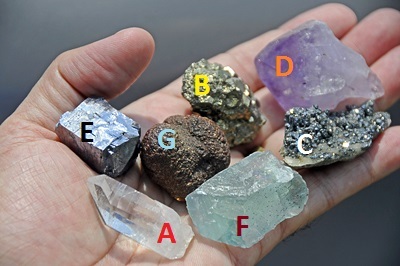 Can you identify any of the minerals shown? How did you work it out? Extension: Click on the photo to the left and add two pieces of information (a sentence, image, map etc.) to the Conceptboard with an in-text reference. Definition: A rock is a naturally occurring solid material containing 1 or more minerals. There is a huge range of uses for rock that depend on their properties. You should be able to suggest uses according to the properties of a rock. You will see the rock cycle in Unit 8. Use the following interactive link to suggest which rock would be the best to make a: kitchen surface; make tiles for a roof; and use to mark distances on a road. 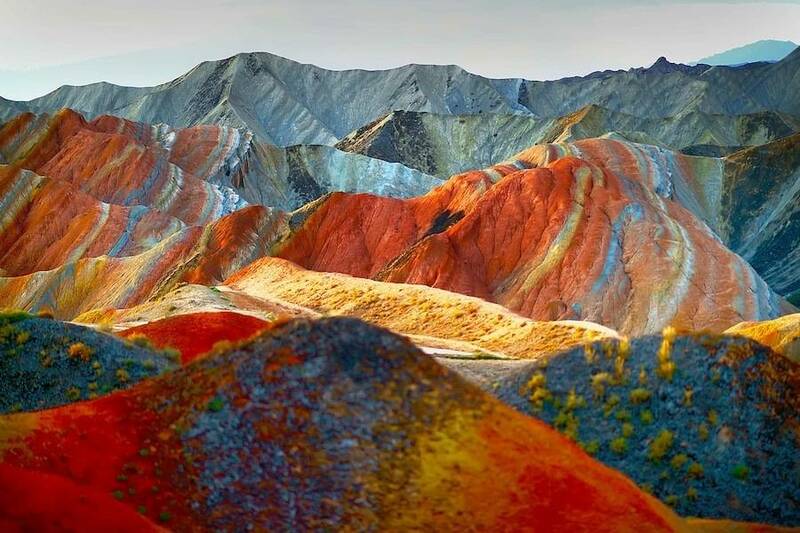 A new type of rock has the following properties: is multi-coloured, shiny, easy to shape, resistant to rain. Suggest a use for this rock and explain your choice. The photo below shows the Bingham mine in America. It is the largest open mine in the world and is used to extract rocks containing copper (Cu). Evaluate the advantages and disadvantages of mining for rocks and minerals? Hints: Think about environmental, economic and human issues. The map to the right shows where the mine is and may help you decide how the mine would affect you. The Earth´s atmosphere is essential in providing the conditions for life on our planet. Without it, the average surface temperature would be -20 ºC and the amount of dangerous radiation from the Sun would cause large amounts of damage to living things. We would also have no oxygen to breathe! It is clear from the pie chart that the main gas is nitrogen at 78 percent. Oxygen is the next most abundant gas at 21 percent. This is the gas that allows animals and plants to respire, and fuels to burn. All the other gases make up only 1 percent. These include carbon dioxide, water vapour and argon. All the gases in the atmosphere are made from chemical elements. Oxygen for example, has the chemical symbol O and nitrogen has the symbol N. Carbon dioxide actually contains one carbon (C) and two oxygens. As the composition of the atmosphere is different in different places, scientists have named different layers. There are many layers that have been named, but the most common are the ones in this diagram. You might also hear of other layers such as the ionosphere and the exosphere. Find a different diagram of these 4 layers and copy it to your NSD. In which layer do we find most meteorological phenomena (weather)? In which layer can we find the ozone layer? What important role does the ozone layer have in our safety? Extension: Copy this map to your NSD and explain where you think the ozone layer has been destroyed the most in the world. The most important role of the atmosphere is something called the greenhouse effect. A greenhouse works by letting in the heat and light energy from the Sun but then preventing it from leaving again so that the temperature remains warm. The Earth´s atmosphere works in a similar way. It allows the Sun´s energy to pass through but then prevents most of it from escaping. Without the atmosphere, the energy would be lost back into space immediately. Image - (Qyuhouse.website, 2015) Click the link to see the video. 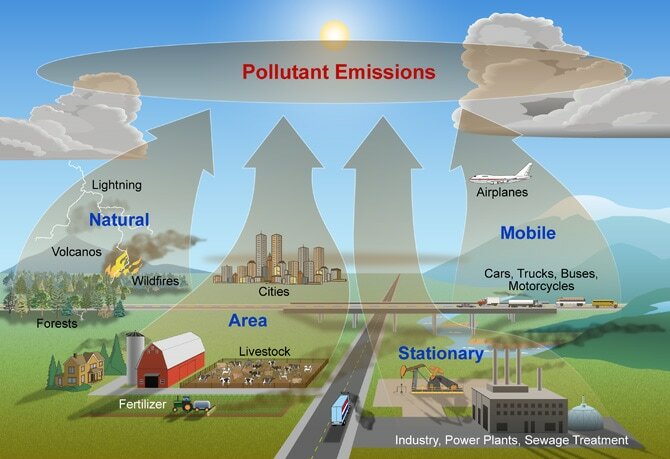 Both human activity and natural processes can cause air pollution. Carbon Dioxide (CO2) - Because of its role as a greenhouse gas it has been described as "the leading pollutant" and "the worst climate pollution". Carbon dioxide is a natural part of the atmosphere, essential for plant life and given off by all animals. Recently, human activity has greatly increased the amount of C02 in the atmosphere. Sulpher oxides (SOx) - particularly sulfur dioxide (SO2). SO2 is produced by volcanoes and by burning coal and oil. It is the main cause of acid rain. Nitrogen oxides (NOx) - Nitrogen oxides, are given off by burning fossil fuels, and are also produced during thunderstorms by electric discharge. They can be seen as a brown haze above cities. and cause irritation to the lungs. Particulates also known as particulate matter (PM) - are tiny particles of solid or liquid suspended in the air. Some particulates occur naturally, from volcanoes, dust storms, forest and grassland fires, living vegetation, and sea spray. Human activities, such as the burning of fossil fuels in vehicles, power plants and various industrial processes also generate significant amounts.. Increased levels of fine particles in the air are linked to health hazards such as heart disease and lung cancer. Chlorofluorocarbons (CFCs) - These are gases which are released from air conditioners, refrigerators, aerosol sprays, etc. On release into the air, CFCs rise to the stratosphere. and damage the ozone layer. This allows harmful ultraviolet rays to reach the earth's surface. This can lead to skin cancer, eye disease and can even cause damage to plants.. After many years of work by environmentalists, CFCs are now banned in most countries. State 3 ways that air pollution damages peoples health. Explain why human activity has increased the amount of atmospheric pollution. Over the million years, the average temperature of the Earth´s atmosphere has fluctuated (moved up and down) between cold periods and warm periods (right). Recently, however, human activities have started causing a particularly fast increase in the temperature of the Earth´s atmosphere (below). This increase in temperature is called. 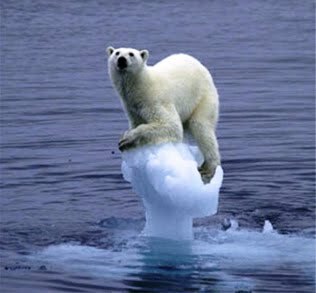 global warming. Which human actvities do you know that have been causing these changes? We will focus on the burning of fossil fuels to provide energy. This releases large amounts of greenhouse gases, especially carbon dioxide, into the atmosphere. The more greenhouse gases that we release into the atmosphere, the more heat energy is trapped and this causes global warming. The increasing temperature of the Earth´s atmosphere is already having a range of negative effects on the environment and systems that function in it. The video below explains global warming and the problems that it is causing. State 4 things that humans use fossil fuels for. Copy the photos to your NSD and explain which global warming problems they are related to. Explain 3 things we can do to slow down global warming. Extension: The amount of heat and light released by the Sun increases and decreases as we saw with the temperature of the Earth. Some scientist argue that this is the actual cause of global warming at the moment. Below is a graph that shows the temperature of the Earth and the energy released from the Sun ("solar activity") over the last 130 years. What do you think? Does the graph explain global warming? Explain your answer.